He has done it again! Chef Marty, from Marty at Oakdene has once again shared with us two mouth watering recipes and this time it is an Oakdene staff favourite, Pork Belly! In case you are still trying to decide on what you should make for Christmas lunch, have a look at these two delicious options, crispy pork belly and papaya salad with sticky palm sugar syrup or slow cooked pork belly with sichuan pear, pickled daikon and king brown mushrooms. Yummmmmm!!! We think that pork is perfectly matched with a dry, fruit driven wine like the Oakdene Ly Ly Pinot Gris or the Oakdene Bellarine Peninsula Pinot Grigio, both available at our cellar door. This is a match made in heaven!! 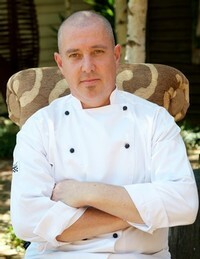 Cuvee Artisian Chocolate is coming to Oakdene cellar door to Match our wine with their chocolate! 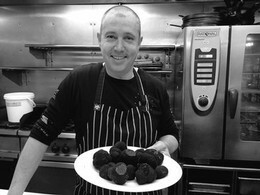 Cuvee by Deniz Karaca is the newest love child of Australia's number one choclatier and pastry chef. Cuvee Chocolate has been specially crafted to compliment wine. The day to visit and taste, at the Upside-Down house cellar door, is the 11th of February 11am-4pm, just in time to buy that special someone the perfect gift for Valentines day. You could match a sparkling with the Soleo, milk chocolate or a pinot noir with the medium dark Amphora, and for all you shiraz lovers, why not try the Gand Cru extra dark chocolate. Come and see us, you know you want to!!! 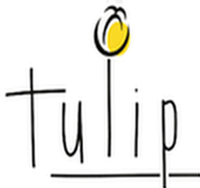 Come and enjoy an amazing night at Tulip Bar and Restaurant, Geelong. 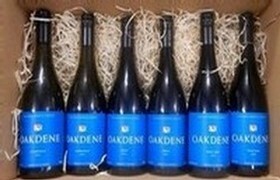 Oakdene will be matching wines from their current and museum cellar with a stunning menu put together by Tulip. For all you foodies out there, this is one NOT to be missed. Halliday Scores Oakdene's 2014 Single Vineyard William Shiraz 95 points! Oakdene's End of Summer Blues. Can you believe it? Summer is over, it's an end to the heat, the sun and alot of fun. At Oakdene we have come up with a six pack offer, End of Summer Blues, that may very well help you to get over it. Have you tried any of our blue labels yet? 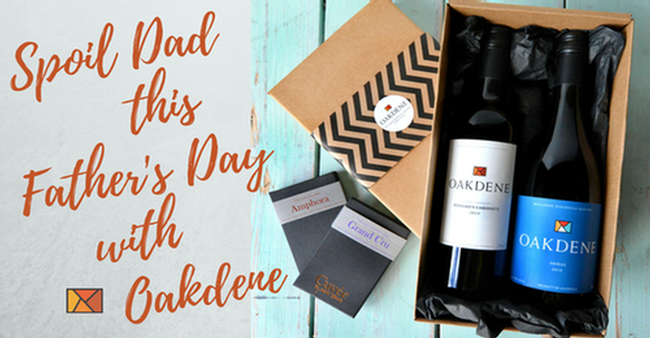 We would love you to try three of them; the 2014 Oakdene Chardonnay, the 2014 Oakdene Pinot Noir and the 2014 Oakdene Shiraz. There will be two bottles of each in the pack. The blue labels are made ready to drink and would be perfect for a dinner party or just to have on the rack ready to share with friends or enhance warm autumn flavours and tasty cheese boards. All of these blue label wines have been reviewed and awarded great scores by judges that you know and trust. Mike Bennie has reviewed the 2014 Oakdene Shiraz in the last issue of WBM and scored it a fantastic 92 points. "Flighty, frisky feeling Shiraz shows some herbal influence, dusty tannin, slippery texture. It’s set to medium bodied, looks great as a young wine (decant!) but feels like there’s plenty in reserve for mid-term cellaring. Elegant is a good word here." Gary Walsh has scored the 2014 Oakdene Chardonnay 89 points for Winefront. So...what are you wating for? 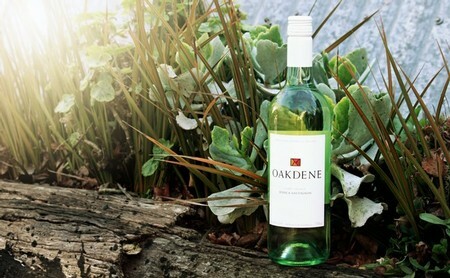 A Chardonnay with no name from Oakdene. That’s a change! Peach and green banana, subtle oak. Sunshiny fruit, but with a good cut of acidity and some greener flavours coming through on the finish. Pretty good. The 2014 Oakdene Pinot Noir has also been given a great review but you are going to have to wait until the end of the month for this one. Stay tuned! The End of Summer Blues offer is only for the first 100 wine club members or until the end of March. Take advantage and order this 6 pack today! Buy Now. 60 of the state’s best wineries come together to celebrate all that is fine about Victorian wine. Sip, sample and savour the state’s best drops on the lush green lawns overlooking the Yarra. With live music and tasting plates of outstanding regional produce, meet us at the City Cellar for a weekend of fun for the wine curious. The city Cellar will be held from the 4-6 March at the MCEC Lawn, 1Convention Centre Place, South Wharf. Oakdene will be there on the 4th so come and say hi and taste some our wines. 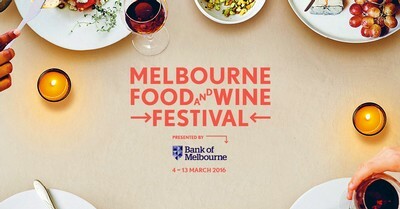 It is a ticketed event so to get one just visit, www.melbournefoodandwine.com.au.